Would anyone care to join a group reading of one of Thoreau’s essays or start reading and discussing one of his Journals? I would suggest Life Without Principle but I’m completely open to suggestions. I just became a registered member two days ago. I don’t see much of any public activity. Are yo a member of any of the public lists or would you care to join one? Are you interested in a group reading of an essay, or journal entries as a starter on one the e-lists? 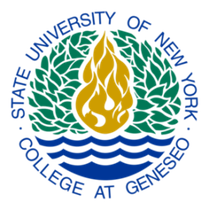 My name is Jessica, and I’m currently enrolled in a class Digital Thoreau at SUNY Geneseo. I am a part of the discussion group SUNY Geneseo Honr 202 S18. Feel free to add comments to the general discussion forum. My classmates and I have access to that and would be happy to discuss Thoreau and other topics with you.